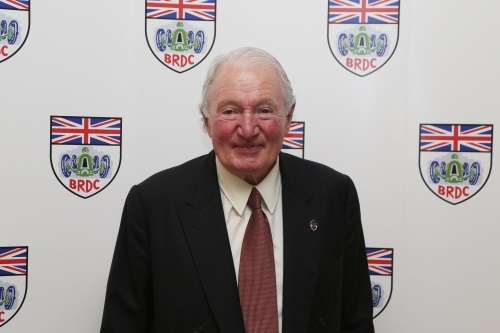 Following Derek Warwick’s decision not to stand for re-election as President of the British Racing Drivers’ Club (BRDC), Paddy Hopkirk MBE was, on Wednesday, elected as the Club’s new President. The election took place during the Club’s Annual General Meeting at Silverstone Circuit on Wednesday 18 October. Derek received a standing ovation from Members in recognition of everything he has done for the Club over the last 10 years and was elected as a Vice-President. Paddy Hopkirk, is well known both within and outside the club having been a BRDC Member since 1965, a director of the Club for 9 years (from 1993 to 2002), and a Vice-President since 2006. Although best known for his rallying exploits (including wins on the Monte Carlo, Alpine, Acropolis and Austrian Alpine rallies), he was elected a BRDC Member based solely on his racing successes, which included class wins at Le Mans, Sebring, the Targa Florio and several other major endurance races.